Three years ago in a split second, I totally changed my way of life, as far as what went into my body – I had a rude awakening and had no choice, and over the last three years, have become healthier than I have been in my life. I have reversed ailments that have never been seen by my Dr. Three years ago, I began drinking 1-1/2 gallons of water a day, counting salt milligrams, basically no sugar, meat, no butter, spreads, cutting down on Coffee, watching carbs and basically learned how to read a food label to the full extent. Sounds radical – but it’s not that hard if you become passionate about improving your life. It’s weird as it only takes about 2 or 3 weeks for your taste to change – and you really don’t miss the stuff you used to eat. The most difficult is the Salt – but it’s a lifesaver, if you can limit. I try to stay under 1000 mg per day – which is almost impossible.The only disadvantage for me is I’m too thin – the advantage is that I am 100% pain free, which is incredible considering all the issues I’ve had from a young age- as well, I have high energy. If a recipe has over 4 ingredients – forget it. I don’t like food enough to spend the time cooking, but with a little bit of creativity you can make up some great lentil, black bean, quinoa, steamed vegetable dishes and some low sodium salsas and homemade citrus dressing. I do eat Chicken or Turkey once in awhile. If you get a great yogurt maker, you can make your own and not only save a fortune but control what goes in the mix. All I need is a crock pot, rice cooker, yogurt maker , vegetable steamer – and I’m all set. I am one lazy person. 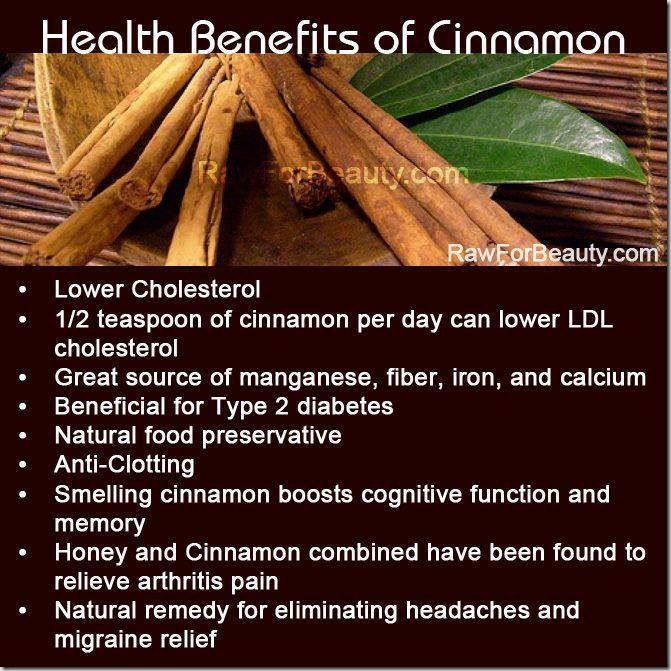 Five months ago, I came upon the best instant oatmeal in the world (to me) and began eating everyday – sprinkling about 1/2 teaspoon of Saigon Cinnamon (Costco) as well as a natural sweetener and a little Flax Meal on top. When I had lab work done recently, the Dr. was amazed at not only my ldl cholesteral had significantly been reduced, but also my blood pressure. The only thing I had changed in my life in recent months – was the Oatmeal with the Cinnamon with the Flax Meal. It’s a great way to start your day.